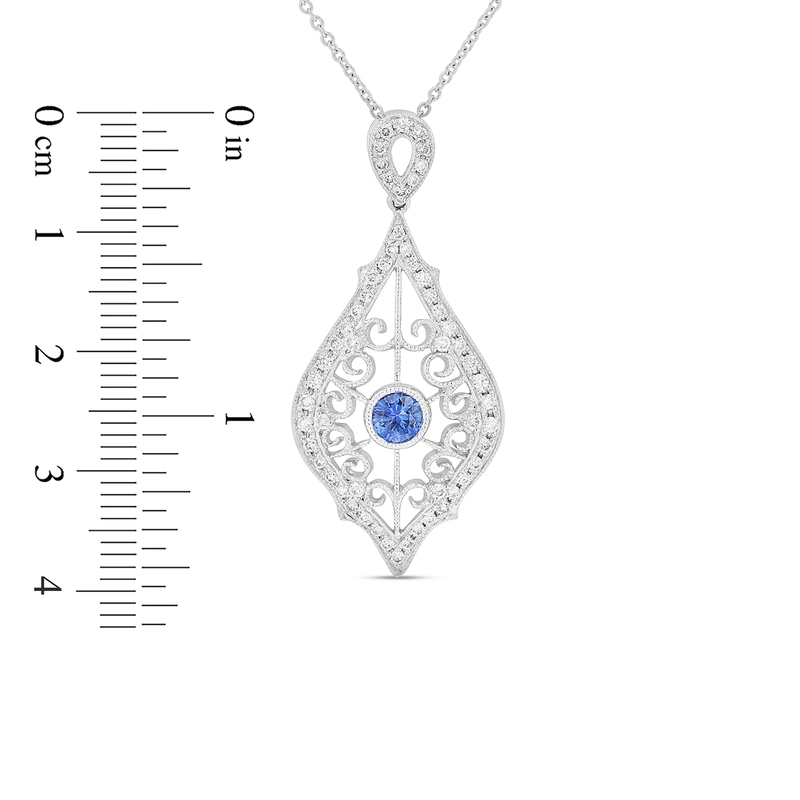 This fashion pendant has a 3.75mm round sapphire in the center and also has 0.35ctw of diamonds. 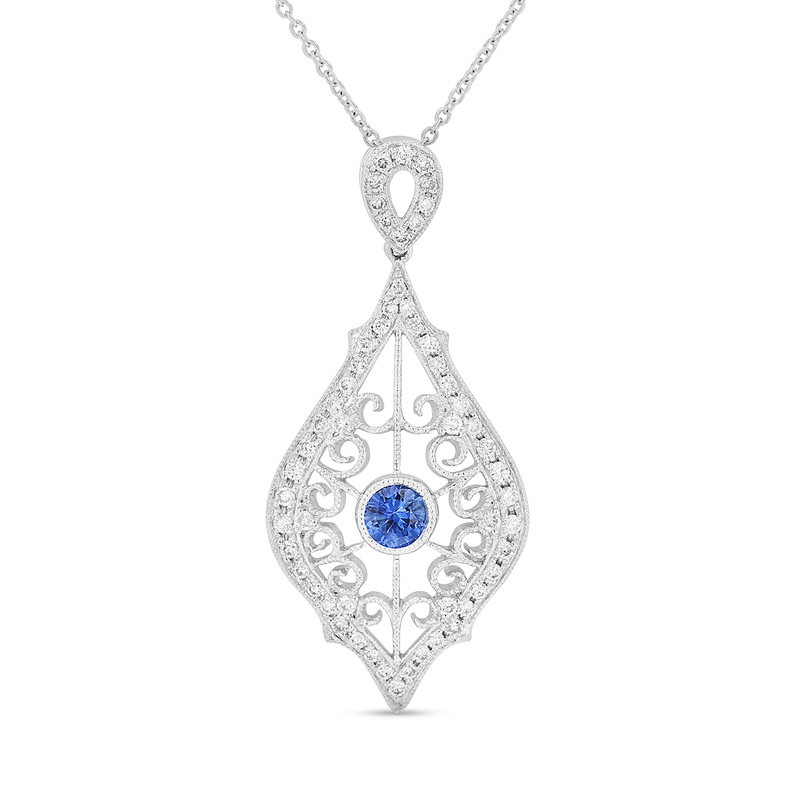 This pendant is in 14k white gold. Please contact us for availability.